Did you know there was such a thing as a color of the year? Me neither, until I saw lots of bloggers writing about it last year. PANTONE® is known worldwide as the authority on color and has chosen Marsala as the 2015 color of the year. 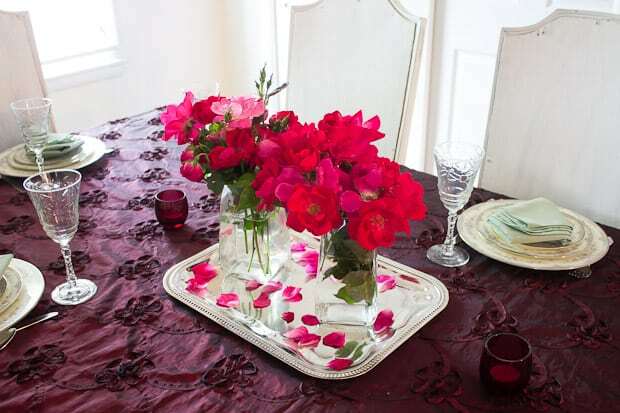 I enjoy entertaining and setting a beautiful table without spending a lot of effort or money. 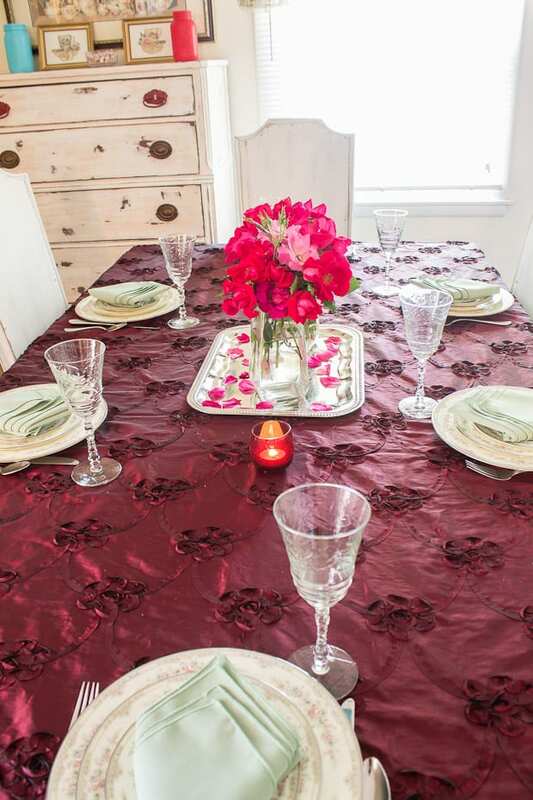 When Bright Settings challenged me to create a tablescape using linens from their comparable Marsala colors I jumped right on board! Bright Settings sponsored this post but all opinions are my own. Colors in the Marsala family that Bright Settings either rents or sells can be found here and include my choice of Monique in Burgundy-Black. 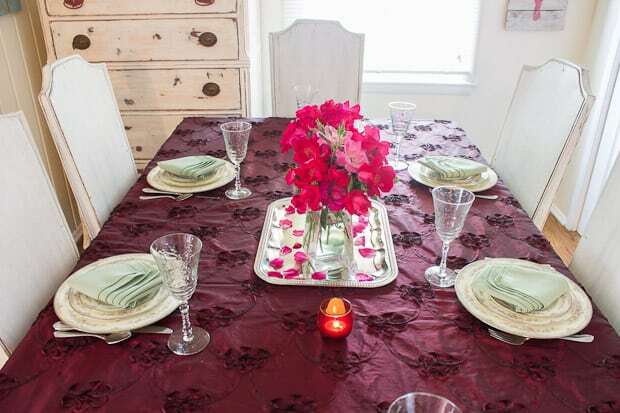 Can I just say that my DIY hubby, who really only cares if the food is good when he sits down to the table, thought this tablecloth was beautiful. I took it straight out of the box and threw it on the table, no ironing needed. 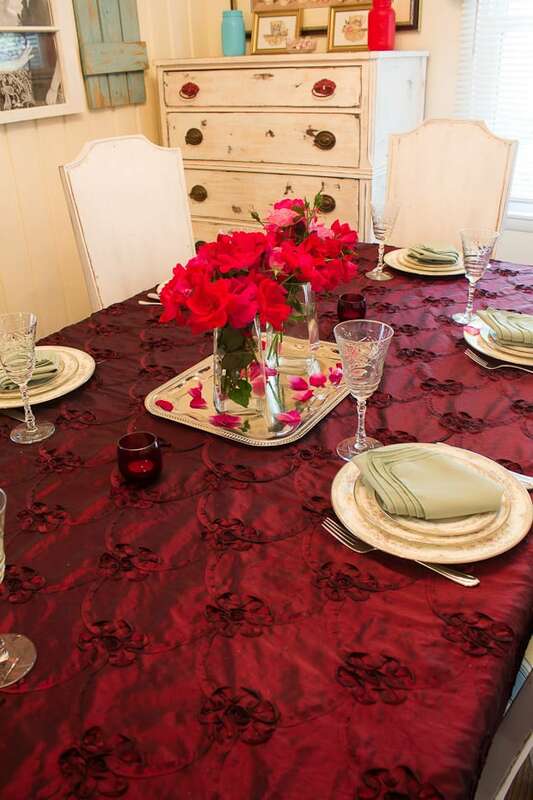 Featuring elegant ribbon embellishments on a rich solid color background, this fabric is perfect for dressing up like I did or more simply with white dishes and a more subtle centerpiece. 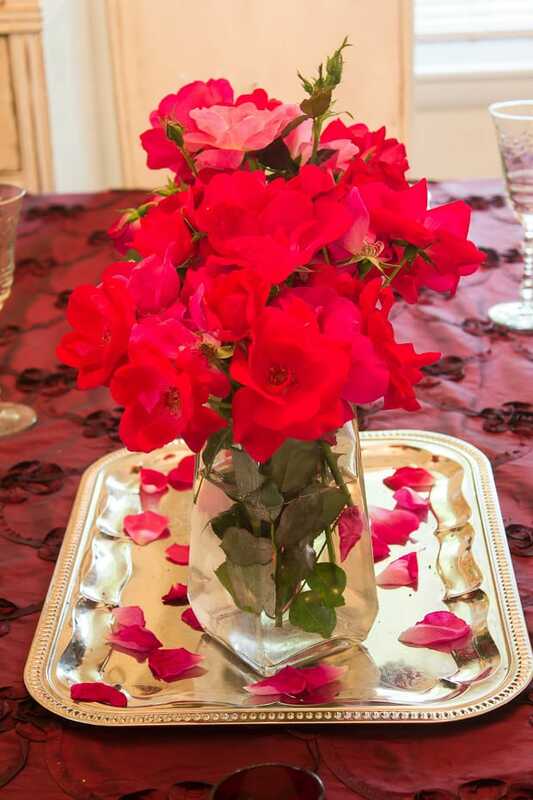 I went simple and elegant with my table setting ideas using everything from a dollar store silver tray to home grown knockout roses. 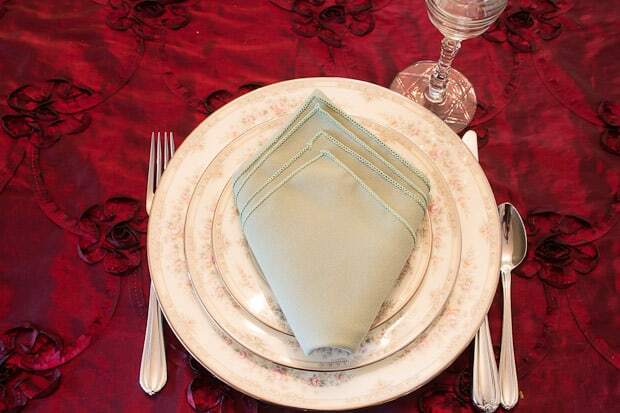 Colors that pair with Marsala tablecloths can be found here but include the lovely sage napkins I chose. I used my wedding china and the crystal that my mom handed down to me. Check out this short video for additional easy tips and a short tutorial to show you the steps to making a diamond fold napkin. oooh I love this colour. I don’t really take note of whats in style I usually just surround myself with colours I like, whether they’re up to date or not, but a table setting like this is pretty timeless anyway. 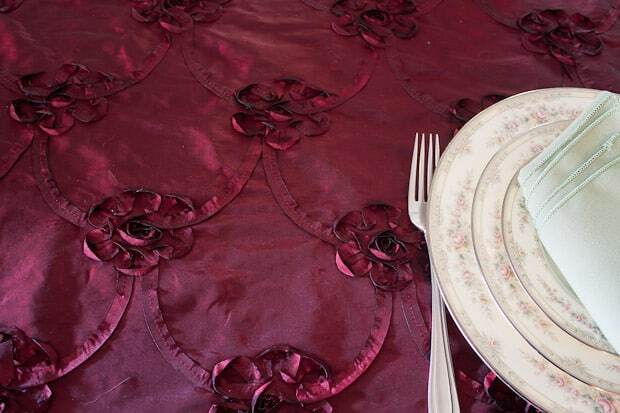 Just shows you cannot go wrong with a luxury tablecloth.